A 5,000 years old adobe construction can provide a crucial glimpse into what might be the start of humanity’s state system and its chosen ruler. 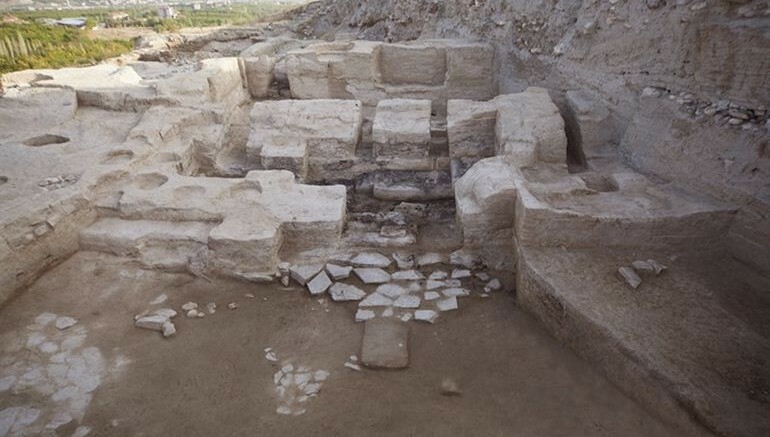 Unearthed in Aslantepe in the eastern Turkish province of Malatya, this adobe platform possibly pertains to the construction of a ‘throne’, as it was initially raised three steps above the floor level. 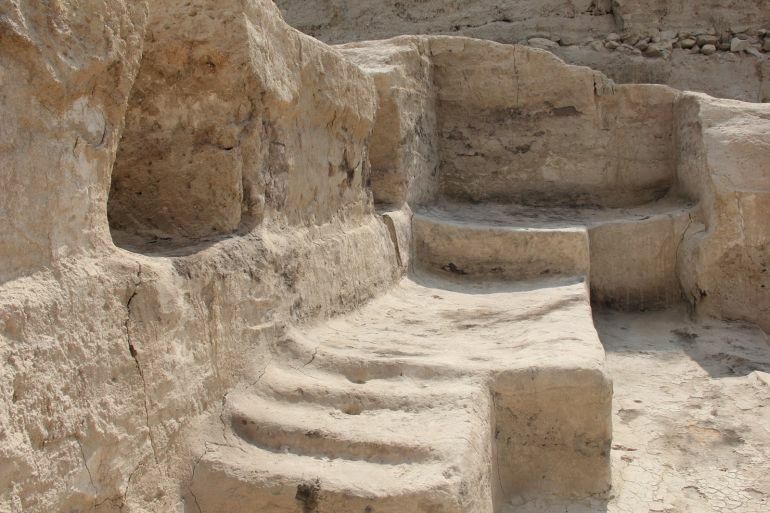 Moreover, archaeologists (from La Sapienza University in Rome) also discovered remains of burnt wood on this platform, which might have suggested the use of timber for the wooden chair of the throne. It’s the world’s first evidence of a real palace and it is extremely well preserved, with walls standing two meters high. In the past two campaigns we found a large courtyard which can be reached through the corridor. On the courtyard stands a monumental building. Quite intriguingly, the aforementioned throne was located inside a room that connects with the courtyard. The researchers analysed the layout of this ‘palace’, and found that the particular room was not a part of the adjacent temple complex; rather it stands separate in the the heart of the building. Such a plan certainly alludes to the shift in politics and religion, with a secularized head-of-state (the king) given importance over mere religious rites. In essence, an independent state-governing system was possibly already established in the area. Additionally, the archaeologists also found two smaller adobe pedestals that are at a lower height than the original ‘throne’ platform. These were probably used by subjects who stood in front of the king to make their courtly appearance.